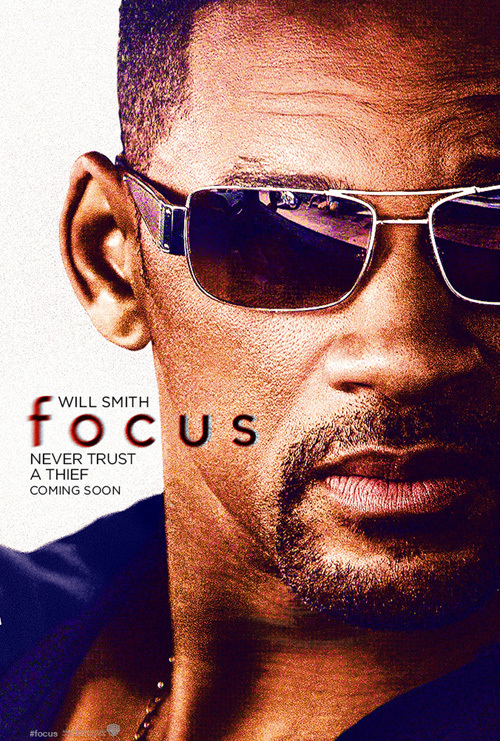 Warner Bros. Pictures has just revealed the main poster, character banners and the new trailer for Will Smith’s con artist movie “Focus.” Watch the trailer here at http://youtu.be/FAxwadq5KDU. 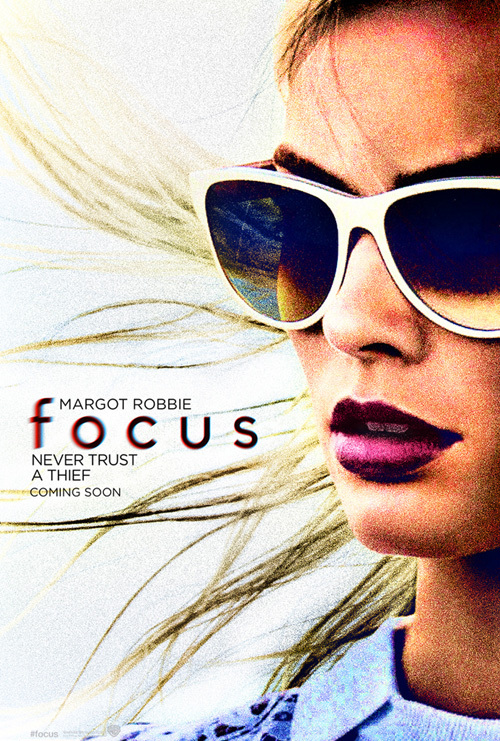 “Focus” also stars Margot Robbie (“The Wolf of Wall Street”), Rodrigo Santoro (the “300” films) and Gerald McRaney (TV’s “House of Cards”). Smith stars as Nicky, a seasoned master of misdirection who becomes romantically involved with novice con artist Jess (Robbie). As he’s teaching her the tricks of the trade, she gets too close for comfort and he abruptly breaks it off. Three years later, the former flame—now an accomplished femme fatale—shows up in Buenos Aires in the middle of the high stakes racecar circuit. In the midst of Nicky’s latest, very dangerous scheme, she throws his plans for a loop…and the consummate con man off his game. “Focus” is written and directed by Glenn Ficarra & John Requa (“Crazy, Stupid, Love.”). 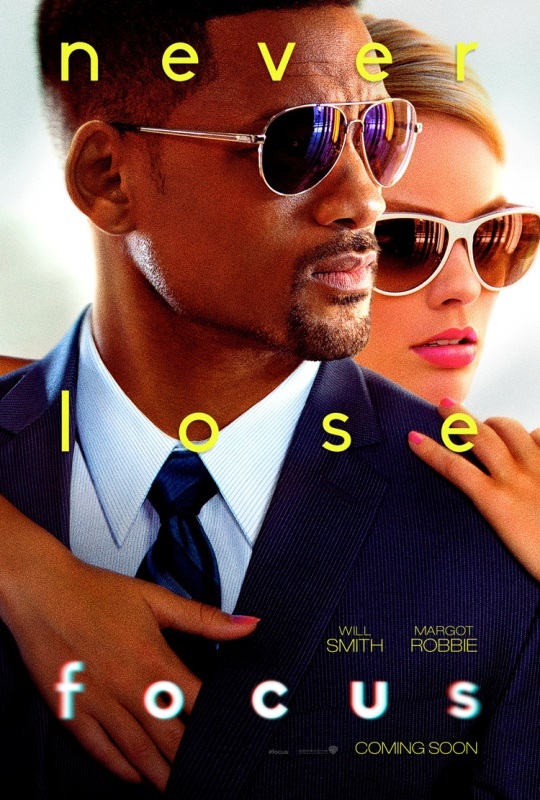 “Focus” is distributed by Warner Bros. Pictures, a Warner Bros. Entertainment company.